Patio Construction 101. Are you thinking of ways to improve your home? With the growing popularity of outdoor kitchen, building a patio is a perfect way to upgrade your home. Today is your lucky day because this article will discuss the most important aspect of patio construction. Dear James: I have a backyard deck, but I would also like to build a patio on a level area adjacent to it. I need advice on what types of material to use for the patio and some installation tips. — Eloise N.
Dear Eloise: Decks are nice because they are up from the ground, but a patio does come in handy for outdoor projects and entertaining. With the current popularity of complete outdoor kitchens, or at least outdoors grilling, adding a patio is a great idea. The most durable and low-maintenance patio material is poured concrete. If the ground is stable and the concrete is poured properly, there is absolutely no maintenance. Although plain concrete is not as attractive as some other patio materials, its surface can be colored and textured. The only drawback to concrete is you cannot do it yourself, so the cost might be higher. The most common do-it-yourself patio materials are bricks, pavers and stone. Although installation methods vary somewhat, they all require a stable base. This is where most of the backbreaking work is involved. 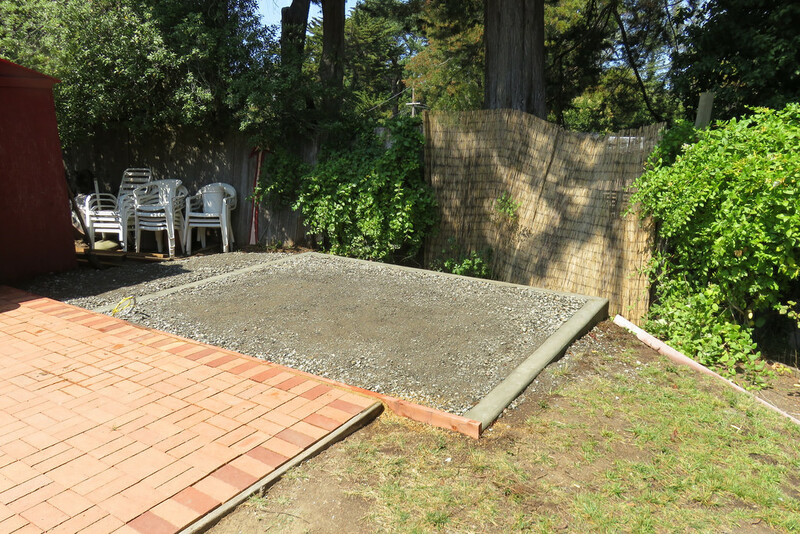 Once the base is prepared, the placement of the bricks, pavers, etc. is the fun and creative part. Keep in mind, the bricks used for paving are different than those used in building above-ground structures. When using bricks, be sure to select the correct type for your climate. For cold climates where there are repeated freeze-thaw cycles, use “SW” bricks. For milder climates “MW” bricks are adequate. Each paving brick will cost about 50 cents and they are usually sold in quantities of 100. First, build two sides of a border using timbers to hold the bricks in place because they do not interlock like pavers. Dig down deep enough to allow for about 4 inches of crushed gravel followed by 2 inches of packed sand. Lay a sheet of gardening plastic — perforated so water flows through — over the gravel to reduce the number of weeds that will sprout up over time. Place the bricks on the sand in any of several patterns. A herringbone pattern is particularly attractive, but it requires that you cut the bricks along the edges. Once the bricks are in place, install the remaining two timber borders. Pour sand over the bricks and sweep it into the gaps with a broom. Concrete pavers are more expensive than bricks, but they are easier to install because they interlock. The base is prepared in the same manner as for bricks, but you might not need as much sand. You can build the entire timber border first because you will already know the exact finished dimensions of the patio. Stone is the most attractive of all the patio materials but is the most difficult to install. This is because stone is a natural material, meaning it does not have uniform thickness or contours. It will be necessary to take time at a landscaping shop to select the stones so they will fit together reasonably well. The most commonly used stone is sandstone, also called flagstone. The cost of stone is several dollars per square foot. For the lowest cost, try to select a stone that is natural to your area. Slate is also attractive, but is somewhat more expensive and can be slippery when wet.